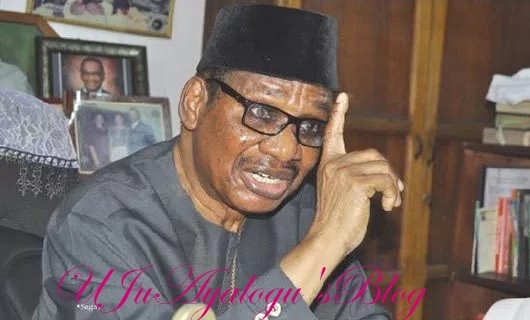 Prof. Itse Sagay (SAN), Chairman of the Presidential Advisory Committee Against Corruption (PACAC), has described federal lawmakers who defected from the ruling All Progressives Congress (APC) to the opposition Peoples Democratic Party (PDP) as malaria parasites who have been making the APC sick in the last three years. Describing their exit as big relief for APC, Sagay, who spoke in a chat, however said he is surprised that Bukola Saraki, the Senate president has chosen to remain in the party saying he doesn’t understand the kind of game he (Saraki) is trying to play. “They are like malaria parasites who have made the APC such a sick party in the last three years. Now that they have gone, APC will fully recover itself and then march on to victory in 2019,” he said.